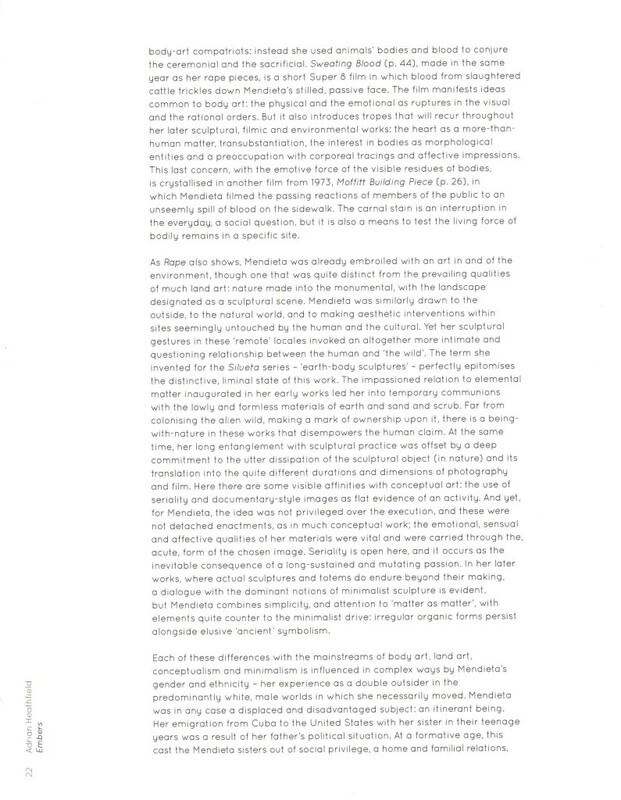 An essay on spirit, matter and belonging in the works of Ana Mendieta. 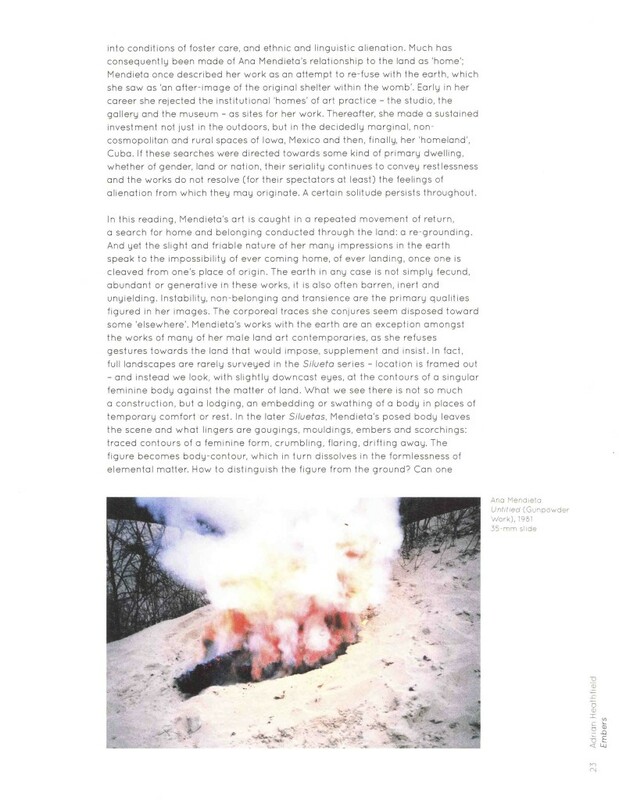 Embers was published in Ana Mendieta: Traces, ed. 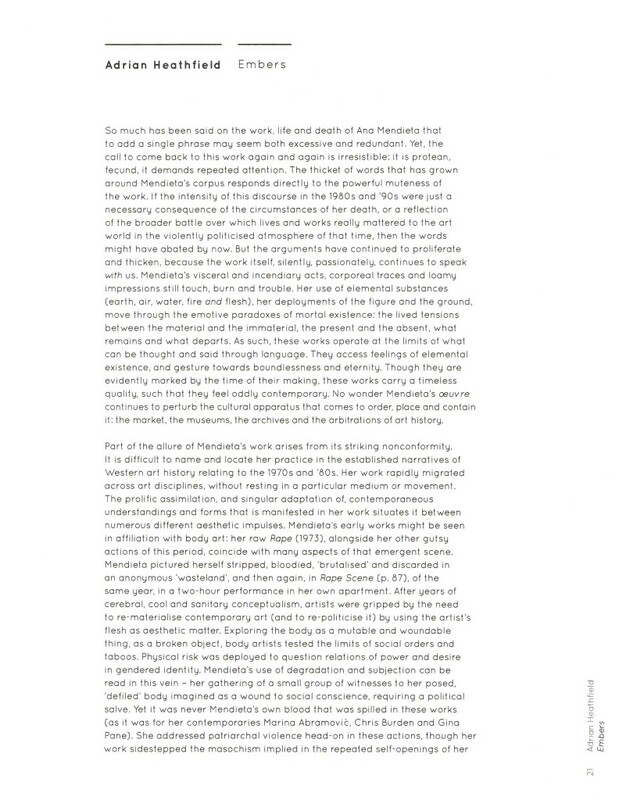 Stephanie Rosenthal, Hayward Publishing, 2013. 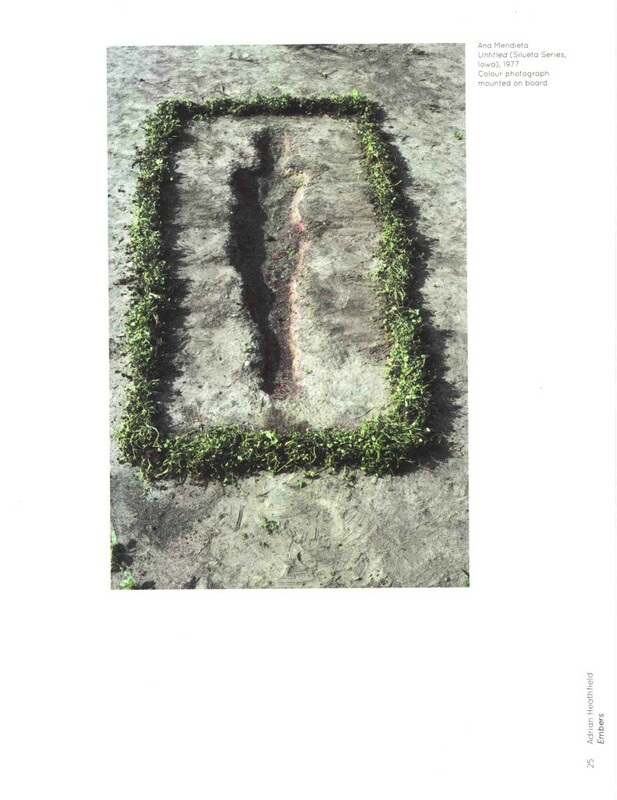 Ana Mendieta, Rites and Symbols of Initiation, c.1978. 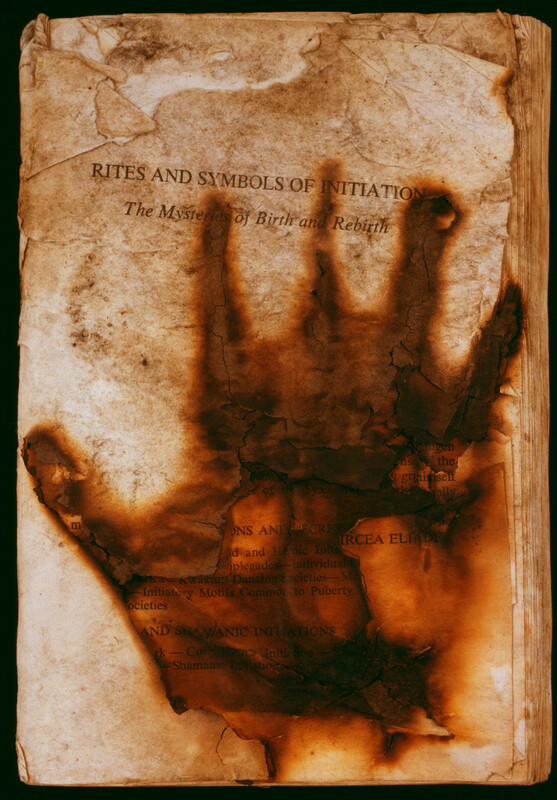 Book burnt with hand print. 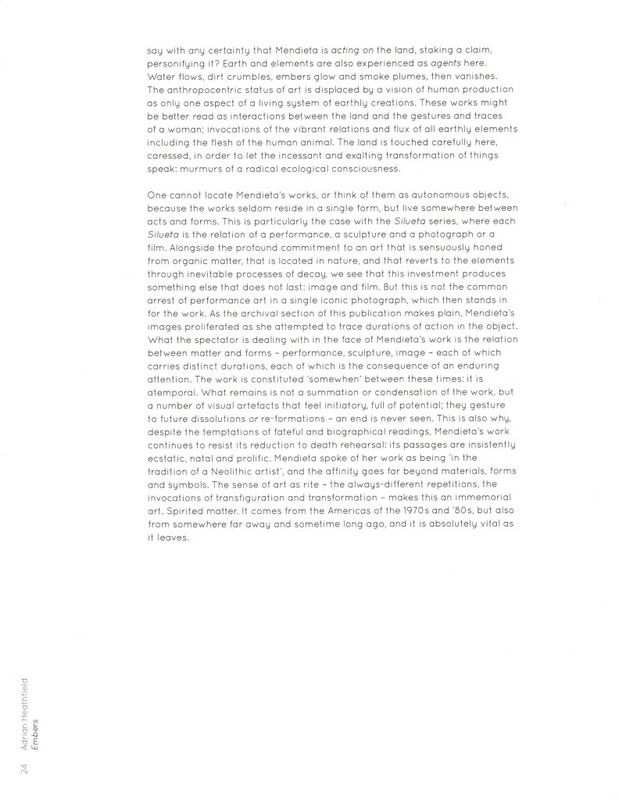 © The Estate of Ana Mendieta Collection, LLC. 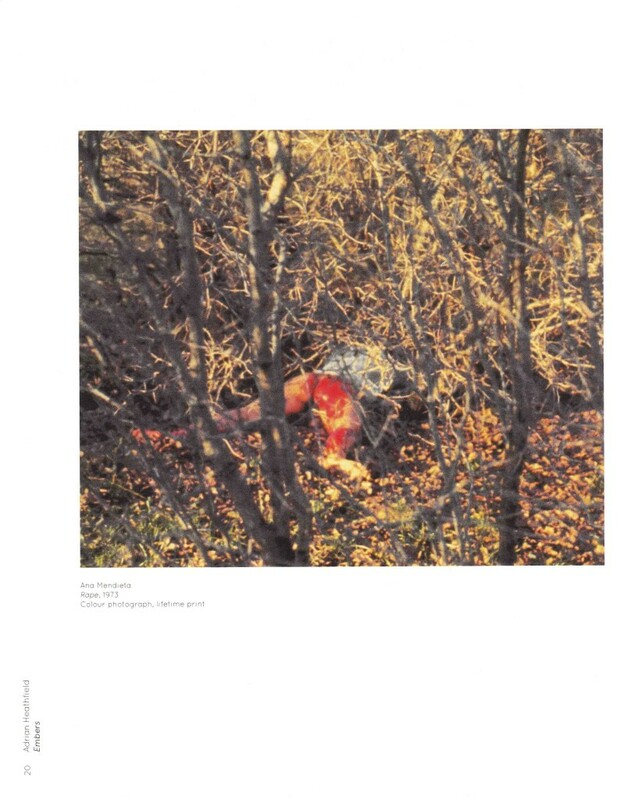 Courtesy of Galerie Lelong, New York.